Enjoy Cagetopia's latest creative cage setups that bring joy, health and happiness to you and yours. 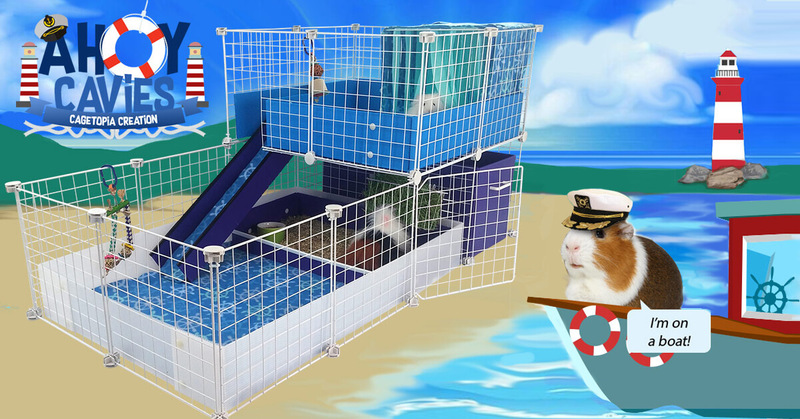 All aboard our latest retreat, featuring our 2x3 C&C cage, offset Wide Loft and Cavy Cafe. Let's rock the boat! 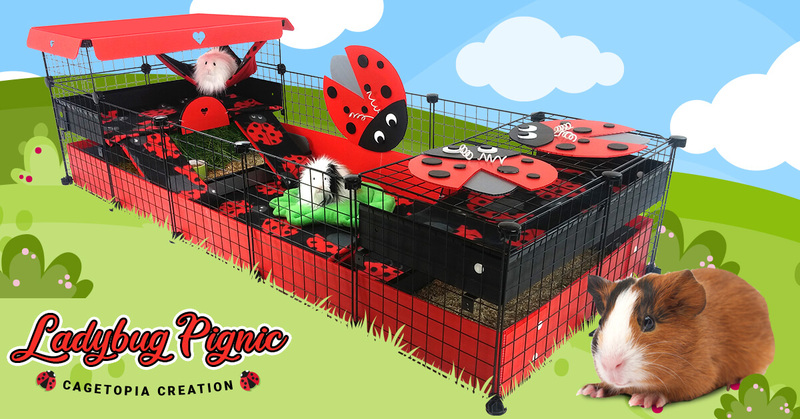 Just in time for spring, it's a piggy invitation to our Ladybug Pignic! 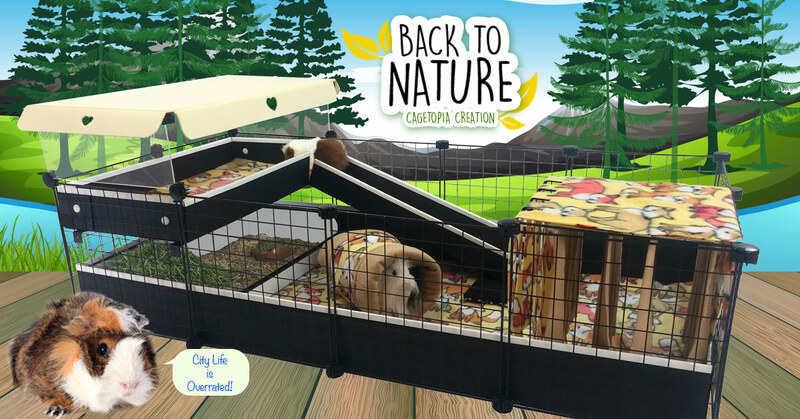 Featuring our NEW Porch Patios atop a roomy 2x5 C&C cage, with ample dining space in our Cavy Cafe and Cave Bistro kitchen areas. Come see what all the fuss is about! 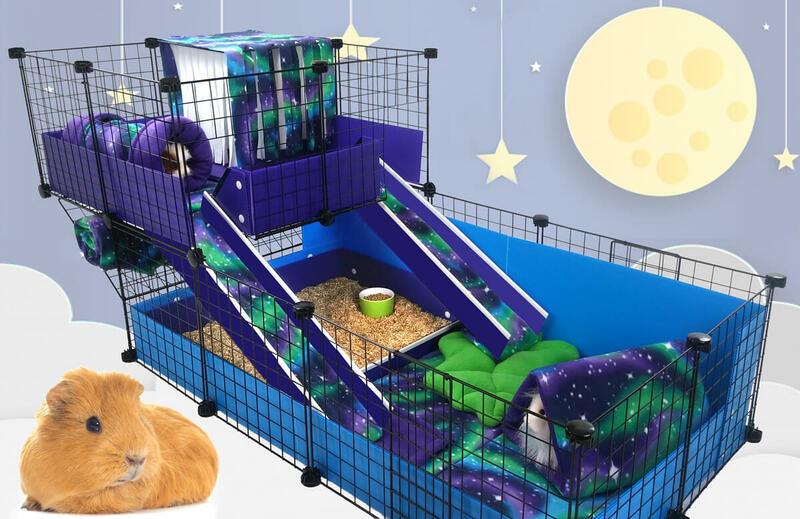 Escape from the city with this relaxing cage creation, featuring a stylish patio for guinea pigs and other small animals. Pampered piggies agree: Adventures begin here! Bringing you a new stacked cage creation with a twist for easier access than ever before. Come see what all the fuss is about! Baby, it's cold outside. 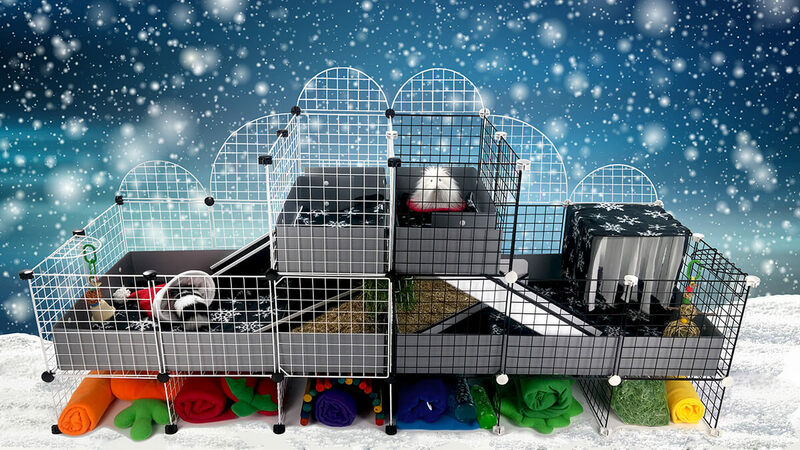 Keep your cavies cozy with a new home for the holidays. 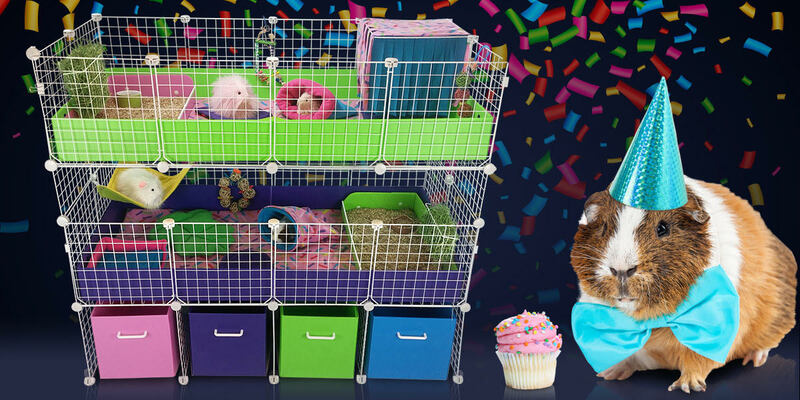 Divided groups will love socializing in our newest cage creation. Come check it out! 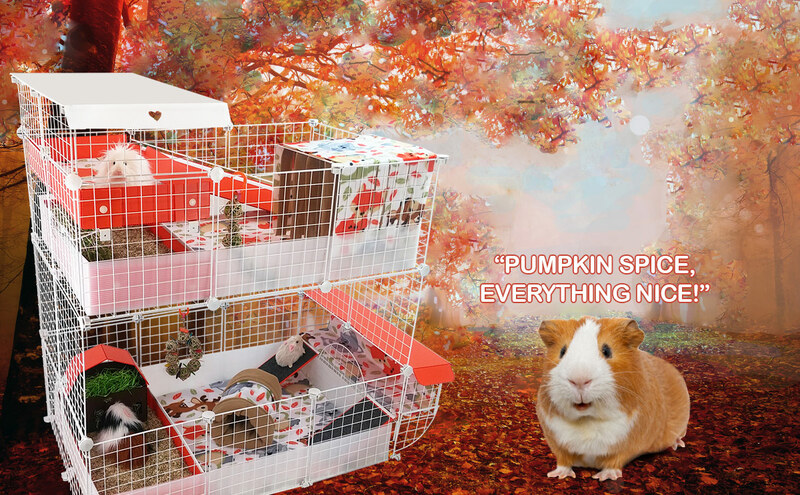 Fall into Autumn with our new semi-stacked cage creation, decorated with our delightful Forest Friends fabric. Come see what all the fuss is about! 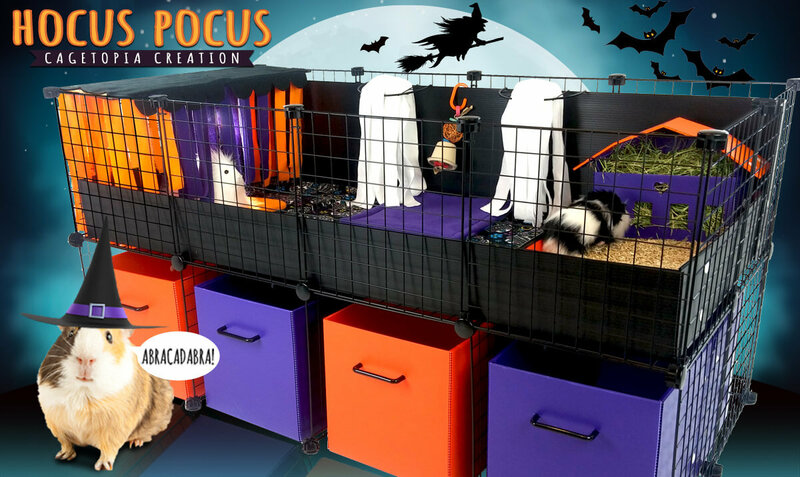 Beware, all who enter... our newest cage creation is Spooktacular! 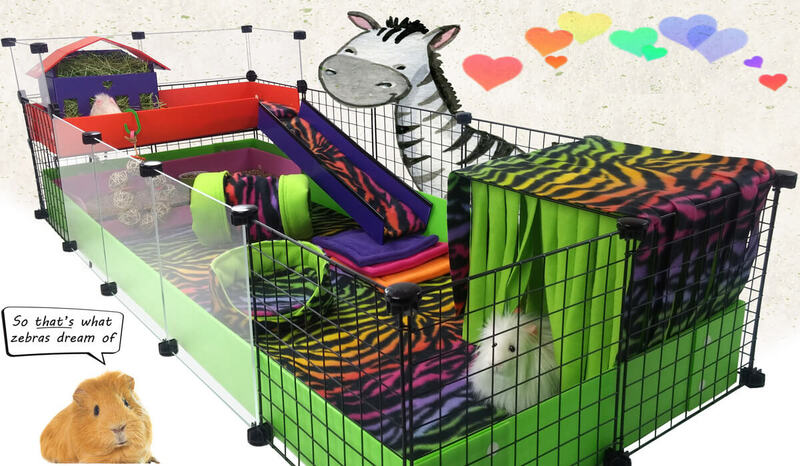 Our Zebra Fantasy Cage Creation is a horse of another color. Check out our latest wild retreat! Take to the sky with our Cavy Cosmos cage creation, decorated with our new Northern Lights fabric collection! 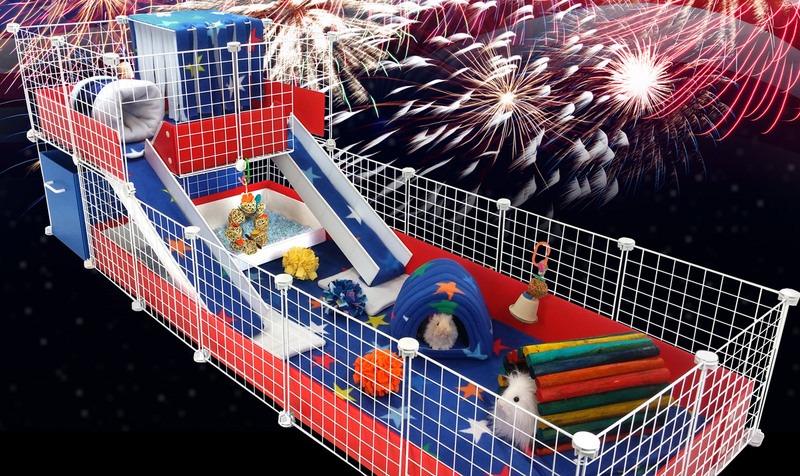 Delight your little dreamers with our Razzle Dazzle cage creation!